This year, we’re celebrating 420 in style! It’s time to start getting excited about this year’s 420 celebrations. We invite you to join us to help you kick-off and enjoy the festivities. 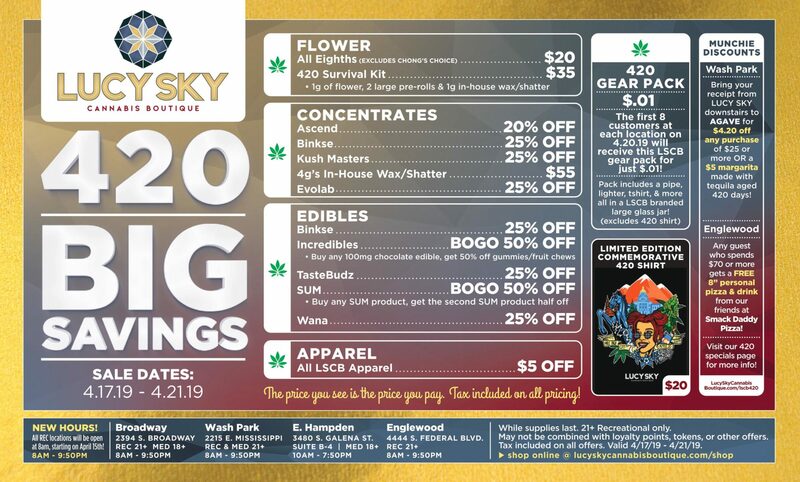 We will keep you stocked with everything from flower to shatter with our special weekend deals. 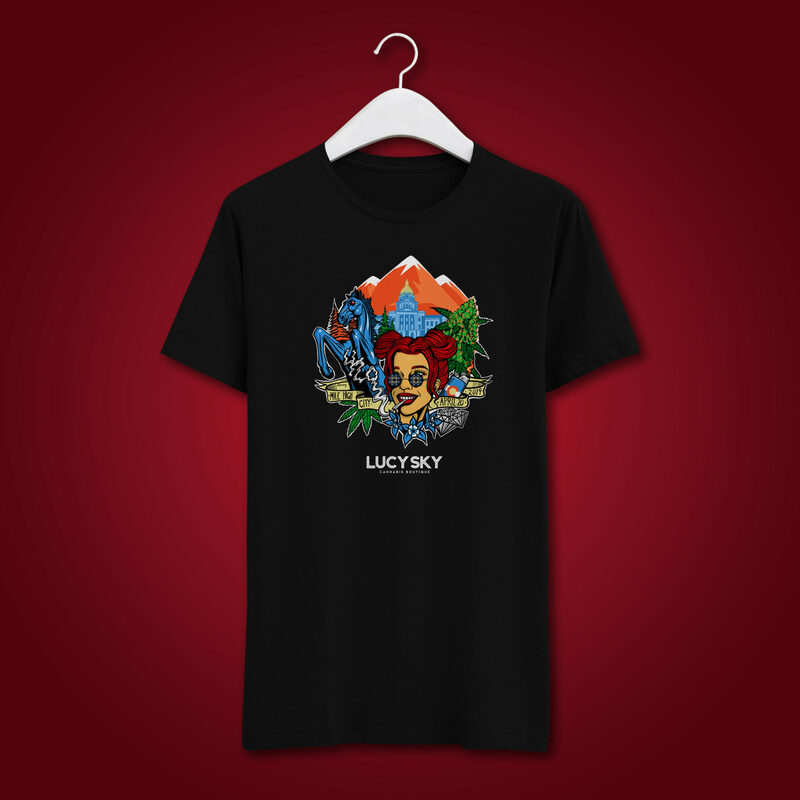 The first 8 customers at each location on 4/20 will receive a LSCB gear pack for a penny. Includes a pipe, lighter, t-shirt, and other various swag in a large branded glass jar. $20 eighths – ALL STRAINS! Bring your receipt from LUCY SKY downstairs to Agave Taco Bar for $4.20 off your purchase of $25 or more OR a $5 margarita made with tequila aged for 420 days! Any guest who spends $70 or more gets a FREE 8″ personal pizza and fountain beverage from our friends at Smack Daddy Pizza. Purchase any EvoLab product, get any EvoLab CBD products for 50% off! Call store for more information & availability.